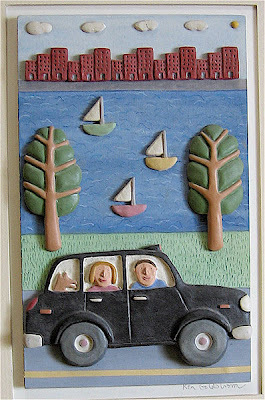 Local ceramic artist Ken Goldstrom has been creating whimsical and original art in the Boston area for over 25 years. 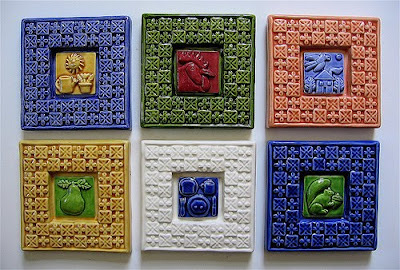 Ken is well know for his bi-relief tiles that are full of bright colors and animals and people. He has fantastically whimsical sculptures that are often placed on wheels like toys. His work can be seen in art festivals around the Boston area as well as at galleries like the Society of Arts and Crafts on Newbury St. and the Cambridge Artists Co-op.